It’s the last Friday of the month, which usually means I lead an extra-long savasana in my 6:30pm class at Bound Lotus Meditation & Yoga Centre… but we’re in the midst of a 40 Day Transformation Yoga Challenge and have tailored all the class sequences to the Challenge. It’s day 11 of the Challenge, which marks the start of the start of the clearing out phase – targeting the liver, kidneys, and digestive system. The Bound Lotus yin teachers have worked together to create a lovely yin sequence to relax the abdominal muscles and stimulate the internal organs (urinary bladder, liver, kidneys, and gallbladder)… but it’s a full 75 minute series. I want to get the best of both worlds by slightly truncating the proscribed yin sequence for the second 10 days of the Challenge and doing a long savasana, rather than the extra-long one I usually do for the last Friday class of the month. 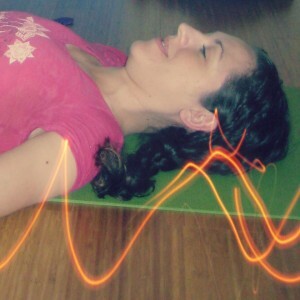 I’m hoping to sneak in a little more savasana than in a standard class, along with a delicious guided relaxation (yoga nidra), while remaining true to the Challenge series of yin postures and getting all the benefits of the clearing out sequence. A long and slightly sneaky deep relaxation seems like just the thing to wrap up April and might be a bit of a treat for students who are now 1/4 through the Challenge!